PHOENIX, Ariz. – Data centers are becoming important players in the U.S. electricity market, and will likely adopt financial trading strategies to manage their cost of energy, according to commodity analysts. In a presentation at Data Center World, the analysts discussed how data centers have become large consumers of energy, boosting their influence and impact in energy markets. 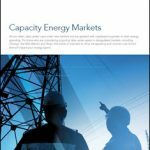 The data center industry’s growing clout in the power markets comes with increased exposure to the complex economics of power in the United States, where utilities operate under a variety of business models and regulatory oversight, and prices fluctuate widely based on geography and weather trends. That’s why three of the largest players – Google, Apple and Amazon – have gained approval from the Federal Regulatory Energy Commission (FERC) to buy and sell electricity in energy markets. More data center operators have reached the scale where energy strategies are important to their business, and are pondering how to navigate the power markets, the Citi analysts said. Data centers currently account for about 4.5 percent of power demand in the United States, according to Sobin and colleague Yashar Barut. The rapid growth of cloud computing has made the data center industry one of the few sectors that has seen its use of energy increase in recent years, while many other sectors have been flat or in decline. “Data center demand may be responsible for half of electricity growth in the next few years,” said Sobin, who said the industry’s usage is currently growing at 10 percent annually, down from 20 percent a few years ago. Cloud computing has emerged as a surprising force for the commercialization of renewable energy at Internet scale, with Google, Amazon, Microsoft, Apple and Switch sourcing renewable energy to power their cloud data centers. This usually happens through utility-scale power purchase agreements (PPAs), with hyperscale operators buying the output of generators of solar and wind power, bringing new renewable energy onto the grids supporting their data centers. Price swings can create unpredictability in large power deals, particularly for intermittent sources like wind energy. Most sellers of PPAs seek a long-term agreement, which can experience shifting economics as prices change over time. The Citi analysts say that these types of large players in the power markets usually have sophisticated commodity risk management operations. As an example, data center electricity demand in the U.S. is twice that of the refinery sector, which uses commodity trading divisions to manage risk. “Data centers have been highly focused on real estate, rather than the nature of the power market,” said Sobin. Citi serves as a market maker in North American power markets, providing trading services to support risk management. It recently worked with QTS Data Centers to structure the purchase of bulk wind power to support a customer in Texas, and Sobin said others are considering similar strategies. One of the challenges is the complexity of the electric utility industry. Northern Virginia is the world’s largest data center market, and illustrates the challenges of power procurement at scale. 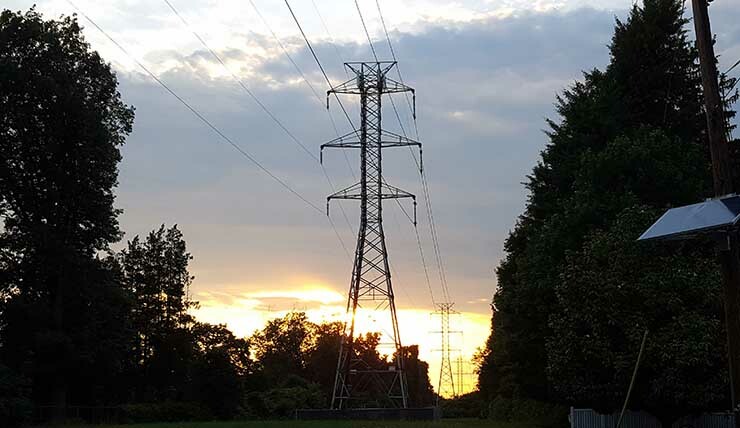 Dominion Virginia provides power to “Data Center Alley” in Ashburn and much of Loudoun County, while Pepco/Exelon serves Washington D.C. and the Manassas-based NOVEC cooperative is the utility for parts of Prince William and Loudoun counties. Data center site selection specialists have always focused on power as a key criteria in finding new sites, evaluating locations for the capacity, price and speed of availability of power. In recent years, the availability of renewable power has become an increasingly important priority. 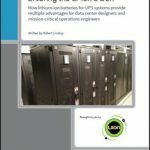 Industry watchers have long wondered whether data center developers would get into the utility business, and what shape that might take. As their data center networks grow, these companies are finding opportunities to slash their power bill, reducing one of their biggest costs. Digital Realty has used its scale to construct multi-campus deals that improved their pricing on power, and position them to join the hyperscale players in constructing creative ways to acquire renewable energy at scale. The company also recently procured 80 megawatts of solar power to offset Facebook’s use of energy in Digital Realty data centers in Northern Virginia. The companies say the agreement is the first “back-to-back” utility-scale transaction in which a data center landlord uses a virtual power purchase agreement for a renewable energy supply dedicated to a customer. As-Generated Power Purchase Agreements – These agreements, which have been used by Google, Amazon, Microsoft and Facebook, allow users to buy generation capacity from a renewable energy project for a fixed price and fixed term. The primary challenges involve managing intermittency risk and power price fluctuations. Wholesale Block Hedges – These tools fix the price on a portion of a customer’s energy use, using a tradeable contract in a liquid market with counterparties. This approach also has challenges in managing variability and risk, Barut said, but less than PPAs. Intermediation Structures – These are custom agreements in which users work with a market maker like Citi or retail energy provider to create vehicles to funnel power to end user. One example of an intermediation structure is a recent deal in which Citi worked with QTS Data Centers on a large deal to procure renewable energy for the company’s data center in Irving, Texas. Citi acquired 200 megawatts of wind energy from Flat Top Wind and sold a portion of it to QTS through Engie, a retail power supplier based in France. The deal allowed QTS to lock in wholesale and retail electricity rates over a multi-year term.